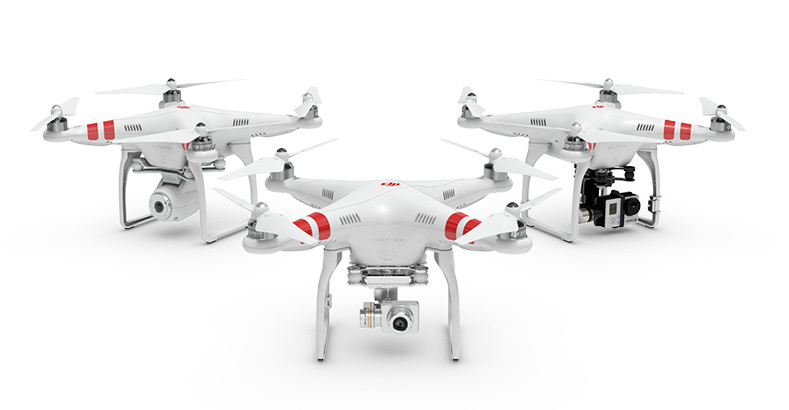 DJI has released a firmware update for the Phantom 2, Phantom 2 Vision, and Phantom 2 Vision+ to help users comply with the FAA’s NOTAM 0/8326. This notice limits flights above Washington, DC. All Phantoms and other model aircraft are not permitted to fly above the city area. The updated firmware (V3.12) will add a No-Fly Zone centered on the White House and extending for a 25 kilometer (15.5 mile) radius in all directions. This addition is part of DJI’s ongoing work with regulators to ensure safe flight, and is being included in a scheduled firmware update. DJI is continuing to update its no fly zone list to include sensitive institutions and national borders in compliance with local regulations. As with all updates, all users are strongly encouraged to update their firmware immediately. No-Fly Zones have been updated to include a 25km radius centered in Washington, DC. The compass calibration program has been optimized to improve reliability. When fail-safe automatic landing is initiated, users can now continue to control the aircraft’s position and altitude. During this process, the maximum speed of ascent is 1 m/s. After a fail-safe automatic landing has been completed and the motors have stopped spinning, users can immediately restart the motors and begin a new flight. Flight controller firmware has been updated to v3.12. It is recommended that the compass be calibrated in an environment that is free from sources of potential interference, including underground metal pipes and other large metal objects. If you become aware of any potential interference or get a compass error, move to a different location and calibrate the compass again. We highly recommend that all users update their firmware to the latest v3.12.